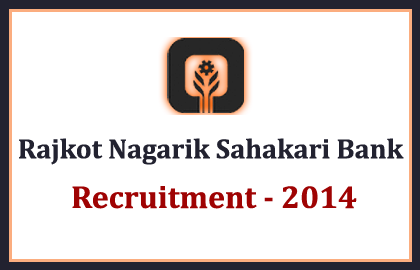 Rajkot Nagarik Sahakari Bank has announced opening for the post of Jr. Executive (Trainee). Eligible candidates can apply here. More details regarding this recruitment were mentioned below. First Class Graduate (Except Arts) OR M.Com / LLB / MBA / MCA. PGDCA / DCA / JAIIB/ CAIIB / COPA (with 1 year apprenticeship) preferable. 2 years experience in any Co-Operative bank or any financial institute is preferable. Selection Process: Candidates will be selected on the basis of the performance in the interview.